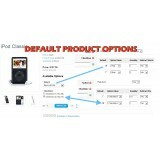 Adds the ability to add an item to cart by direct link (GET) rather than needing a form post (POST). Also adds alternative methods of adding by product_id, sku, or model. * Simple vQmod script plug and play. No files to edit or overwrite. Attribute helper will help you to fill the attribute values for each product. Each time you change/insert a product attribute, the system will show you a select with all values stored on the database, so you can write a new value, or select it from the database. Also, it will help you to fill all the attributes via an attributes group select when you create a new product. - This vqmod will only update your store RON currency using the BNR currency exchange feed. 1) You must have your store's default currency set to one of the following: USD / EUR / GBP. 2) You must have the RON currency added to your store. 3) It will take your default currency(ex: EUR) and update the RON curency of your store to the value from BNR. - This is useful when you receive your product feeds in a different currency than the one you want to sell in your store(you get USD, EUR or GBP and you want to sell in RON). 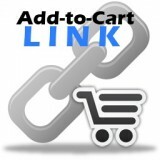 - For any other custom modules, custom extensions or any other custom OpenCart work, feel free to contact me by e-mail. - This vqmod will add a new description field to your category page. You can add text, banner or just paste any HTML code you want. - It will add an extra textarea field in admin, when inserting or editing a category. - This will help you if you want to show a banner or any text at the bottom of the category page. These selected sorting methods will appear on the category,special,manufacturer and search pages. This vqmod adds a new custom sorting method: Popular/Most viewed, which you can't find in the standard opencart sorting methods. This works with any custom theme! If you need another custom list of sorting methods, feel free to contact me andrei.opencart@yahoo.com. Adds a new fields to the coupon edit area in admin to assign an affiliate to the coupon. When the Coupon is used, the assigned affiliate gets the commission. If you keep all the default sorting methods, you will have unnecessary load on the server, caused by products being sorted in every possible way. Improve customer service in your OpenCart Shop by enhancing the account page. Re-invents the way the account page is organized and displayed when your customer is logged in. Don't cheat them out of the experience by ignoring this crucial part of your site! A well organized account page is the same as having a customer service department in your OpenCart shop. • Page Title now shows: Customer Service Dept. for: FirstName. • NEW Icons Added to Each Link to Allow Finding Features Fast. 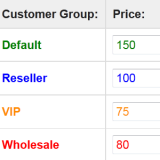 • Quick Overview Shows Total Number of Orders with Clickable Link. • Quick Overview Show Customer's Account Balance (also called transaction) with Clickable Link. • Quick Overview Shows Customer's Points Balance (also called rewards) with Clickable Link. • Quick Overview Shows Date Customer Joined – useful for customer appreciation. • Transaction link removed & replaced with Quick Overview Section (described above). • Features 2 Rows for Quick & Easy Navigation of the Customer Service Department. Edit, Change Password, Update Address, View Order History, and View Downloads. 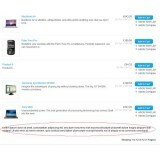 (Rewards), View Wish List, View or Create Returns, Purchase Gift Cards (Gift Vouchers / Gift Certificates). • Gift Cards (Vouchers) icon & link featured prominently in the customer service department to increase sales. • Personalized Gift Card Sales – When clicking the link, name and email address will already be filled out. • Account Module displays Logged in as: FirstName for a more personal shopping experience. • Account Module no longer shows transaction link (see quick overview section). • Add Print button on order page which allows a customer to print any order any time. • Add Customer name to registration email – When you add a name, there's less chance of being marked as spam. 1. Send contents of folder to OpenCart installation. Don’t worry, no files are overwritten. account page to confirm plug-in successfully installed. press – do it twice to be sure. 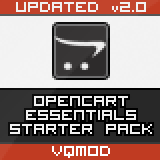 OpenCart Essentials Starter Pack was created as a VQmod plug-in for my own shop as there were so many features that are missing on a fresh OpenCart install. Since MrTech supports OpenCart shops, we test many new installations and these plug-in contains many of the features we find handy to have on any OpenCart shop, not just new ones. 1. Add Favicon to Admin Section. 2. Show Image Name in File Manager. 3. Add Clear Cache button on the Error Log page. 4. Add Clear Cache button on the Admin Dashboard. 5. Add ‘Clear Cache’ to the list of options in the ‘System’ menu. 6. Show Name for Easy Reference When Editing/Adding a Product, Category or Information Page. 7. Display Local Time on the Admin Dashboard Next to Title. 8. Display Local Time on the Error Log Page Next to Title. 9. Show Information Pages in Admin by Sort Order So That Both Front and Back End Look The Same. 10. Display Number of Products in the Overview Section of the Admin Dashboard and the Product Page. 11. Highlight Bar for Each Line/Row in Admin – Figure Out Which Edit Button to Click Faster. 12. Make Select Box Much Taller in Admin for Easier Use. 14. Replace ‘Powered by’ in the Site Footer and the Admin Site Footer As Well. 15. Replace ‘Powered by’ in each Outgoing Email Footer With: (c)StoreName YEAR. All rights reserved. 16. Remove Non Relevant ‘Continue’ Button From All Information Pages. 17. Hide Any Information Page From Showing Up in the Menu by Setting the Sort Order to ‘-1’ (minus one). 19. Get More Attention / Rotates Featured Items on Refresh. 20. Personalize user account by displaying: ‘FirstName Account Page’ instead of ‘My Account Page’. 21. Remove breadcrumb & Delete Duplicate Title on Account Page. 22. Convert all HOME links in the header to use pretty / clean SEO URLs. 23. Improve Review Section by Including Product Name for Easy Reference = better SEO. 24. Center Module Display Boxes. 25. Change ‘logged-out’ to any page you want to display after a user logs out. 26. Add name to registration email. 27. Add Space Between Price and Currency Name When Using Multi Currency. Send contents of folder to OpenCart installation. Don’t worry, no files are overwritten. Login to Admin, look for Time & Date Displayed on dashboard to confirm plug-in successfully install. This module is designed to go on the homepage. It lists the categories in a box with the category image on the right and a list of subcategories on the left. V2 adds the ability to select the number of columns from the admin, and the ability to show products if subcategories are not available. 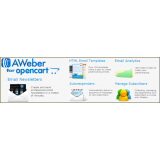 ✔ Join more than 2000 Happy Opencart Store Owners enjoying the extensions designed and developed by Opcrat. Listed as a Opencart Partner. Everything you need to run a Gift Promotion for your Opencart web store. This extension comes with many advance options to run many combinations of gift promotion. Increase your customer satisfaction and revenue using many combinations of gift promotions. 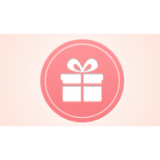 This extension automatically add Gift product into shopping. ✔ To display promotional products anywhere in your store with promotion details. 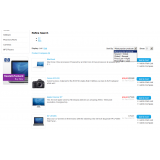 ✔ Display Product wise gift promotion discount in shopping cart. Easy to Install, VQMod version so no need to change any core files of opencart. Notice: This extension adds new tables to your database. Please check our demo first for specific requirements before purchasing this extension. - With this vqmod installed, your guest customers will be able to subscribe to your newsletter without the need of creating an account. - In every store there should be the possibility to subscribe to a newsletter, without creating an account. 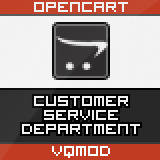 Unfortunately, OpenCart does NOT do this by default, but now you can use this vqmod! - The vqmod comes with custom newsletter controller,template and language files(english and romanian). - You can place the newsletter form wherever you want in your theme, by copying the html code from the read-me.txt file. - If you are still having questions, please contact me anytime by email at andrei.opencart@yahoo.com or leave a comment on the extension's page. OpenCart has an option that lets you create brands and assign them to your products, but that’s as far as it goes. If you ever ordered a salad in a restaurant, you may have asked what the house dressing is or perhaps your local pub has a house brand on tap as well? Everyone knows there is always a house brand to be had that can be less expensive most time since it’s also known as a generic or no name brand. Don’t just resell products, sell your own house brand products! 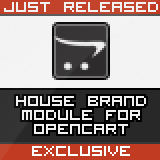 Promote your own house brand in Open Cart with the House Brand Module. The House Brand Module works exactly like the Featured Module. Randomize / Shuffle products on every page load (this method does not make extra calls to the database. It loads many products at once and then shuffles them before being displayed). Products get centered inside the module for better styling. Add as many products (set limit) as you wish to have displayed. Add the module to any layout. Choose the position of the module (Content Top or Bottom and Column Left or Right). Upload and go — requires no modification to core files or the database. Compatible with almost any custom theme. Create an unlimited number of modules all over your site. 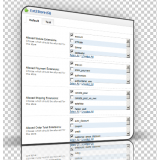 Admin, Extensions, Modules – Click Install next to House Brand. Click next to House Brand. Choose which products will be displayed in your module by using Autocomplete. Click the button on the bottom right hand side. Works like other modules on the site such as Featured. Don’t see updates? Refresh page – hold key & press – do it twice to be sure..